Members of the IWG, along with friends and family, gather for a group picture at a Christmas party. Photo courtesy of M.O’Leary. This year marks the 25th anniversary for Westmoreland County’s YWCA International Women’s Group (IWG). In honor of the anniversary, Seton Hill students from Christine Cusick’s Empathy and Storytelling Class collaborated with members from the IWG to share their stories. The IWG was founded in 1991 by Hiroko Hirano, Kathy Henry and Esther Yant as a way for settling immigrants to come together. Westmoreland’s YWCA has welcomed immigrating women from all over the world including Brazil, China, Mexico, Syria, Italy, Germany, Iraq, Hong Kong, Turkey, Pakistan and Korea. 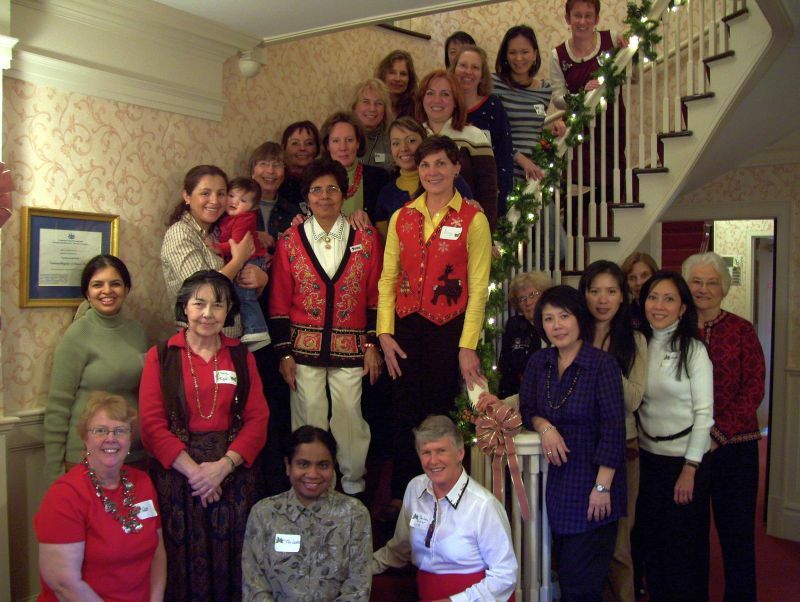 The IWG serves as a meeting place for women to develop friendships, share and learn about the United States. “I met some wonderful people through the group and have learned about different cultures other than my own,” said Anika Rieper, member of the IWG, who joined the group after immigrating to Pennsylvania from Germany. 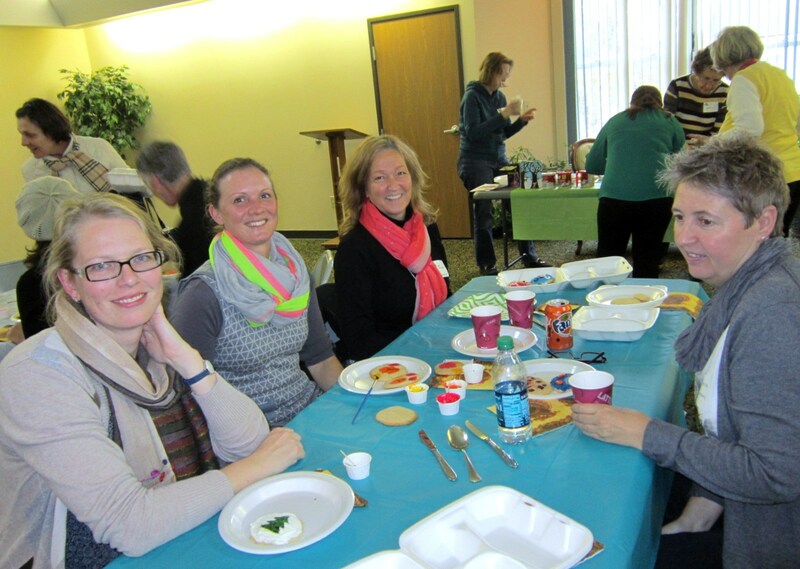 A group of women from the IWG participate in decorating cookies for their Christmas party. Photo courtesy of M.O’Leary. Members of the IWG come together at the YWCA on the second Wednesday of each month to promote international exchange, friendships and help women adapt to their new community. In collaboration with the IWG, SHU students interviewed women from the group on their immigration stories. The women’s responses to the interview questions were constructed into a series of prose regarding empathy and immigration. 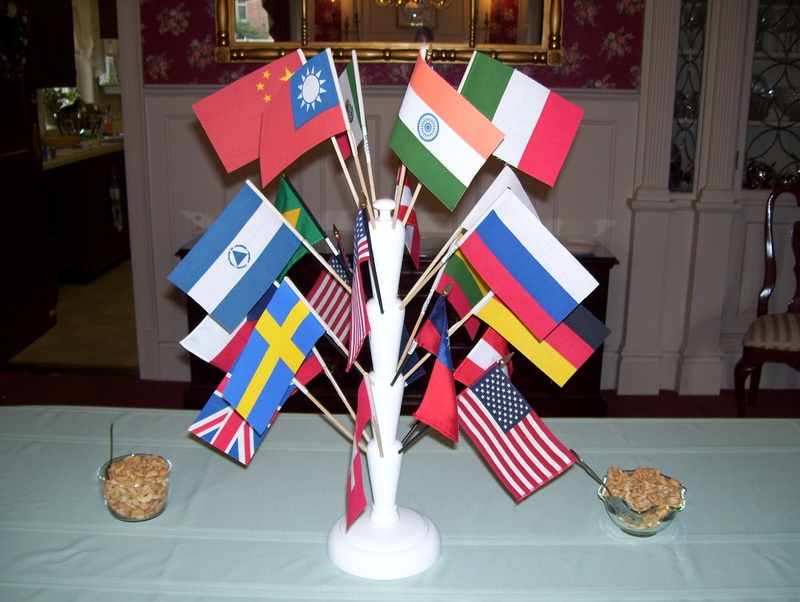 Flags displayed at the Christmas party represent various countries of immigration. Photo courtesy of M.O’Leary. The course was new this semester and focused on the power of empathy in storytelling. The students read multiple fiction books, poems and articles that explore the concept of empathy. 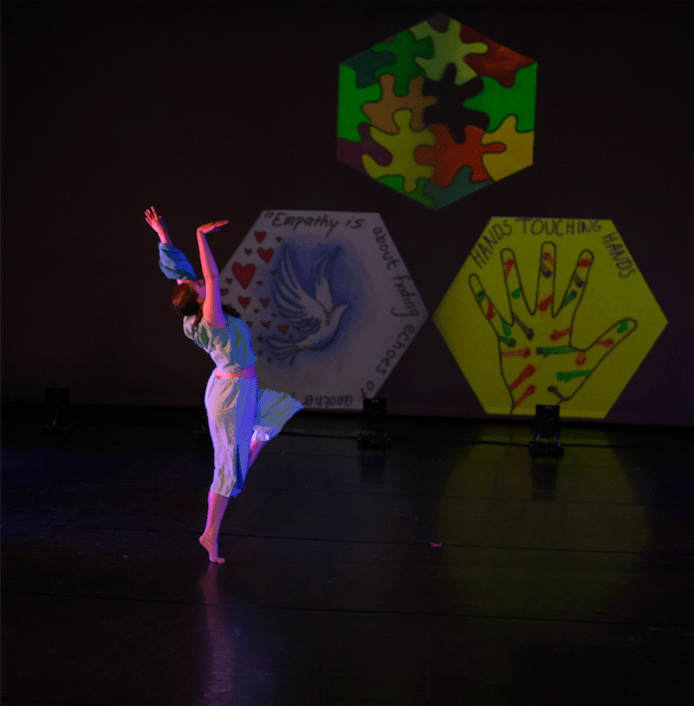 In addition to the IWG project, the students also collaborated with the SHU dance program in which the students wrote poems on empathy as strength and the dancers interpreted these poems into movement. The project was performed during the Spring 2017 Dance Spectrum. Students from Cusick’s class also participated in a Narrative 4 story exchange. SHU has recently started participating in the story exchange project, training students and faculty to facilitate the exchanges on campus and in the Greensburg community. Elizabeth Miller, from the “Empathy in Movement” piece, performs a solo. 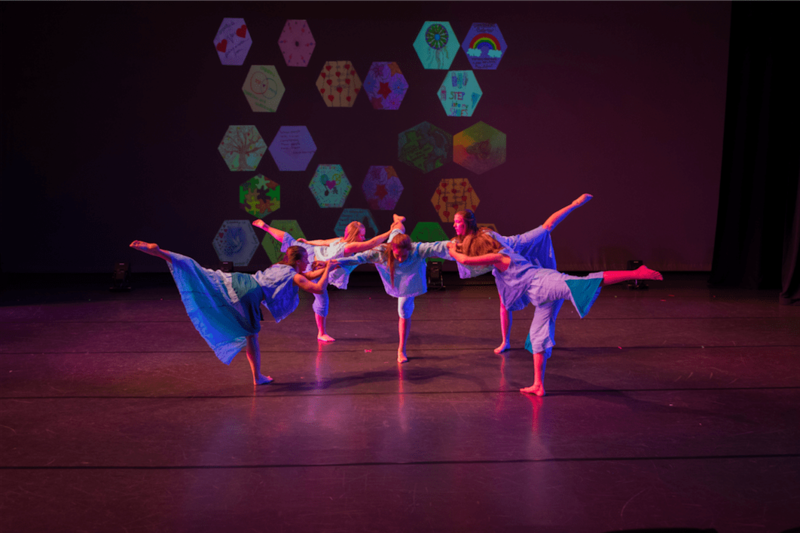 Prior to the performance, dancers worked with the Hexagon Project to artistically express their ideas of empathy. Images of their hexagons were projected on to the background during the performance. Photo courtesy of S.Zubal. SHU dancers perform to the empathy pieces created by Cusick’s Empathy and Storytelling course. Photo courtesy of S.Zubal. Prior to the semester I would have thought of myself as an empathetic person, but now I am not so sure. I constantly find myself struggling with what empathy is, what it means to be truly empathetic and how to achieve a radical sense of it. The class has taught me that empathy is not a destination, but a process of making meaning along the way. I have learned that stories play a large role in how we learn to empathize with each other. I encourage you to take a shot at empathy. Participate in campus or community story exchanges, reach out to the IWG and other community programs and listen to their stories. Pick up a book, read a poem or write something yourself. “In the tradition of Elizabeth Ann Seton, we educate students to think and act critically, creatively and ethically as productive members of society committed to transforming the world.” I challenge you to be critical, creative and ethical through storytelling, and together we will transform the world with empathy. For more information on the YWCA International Women’s Group, click here. For a closer look at empathy and storytelling, click here.